Fish the Dillon Reservoir with brand new boating equipment fun for the whole family. We are fishing for brown trout, rainbow trout Kokanee salmon and artic char. We provide all fishing gear as well. 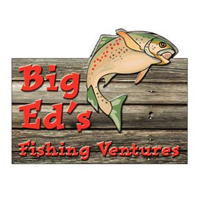 Big Ed's fishing ventures has been charter fishing on the Dillon reservoir since 2004. Our knowledgeable guides have over 50 years combined experience fishing summit county's lakes and streams. When you go on a guided trip with Big Ed's we bring detailed insight on the waters we fish and a bit of fun history into our trips as well. 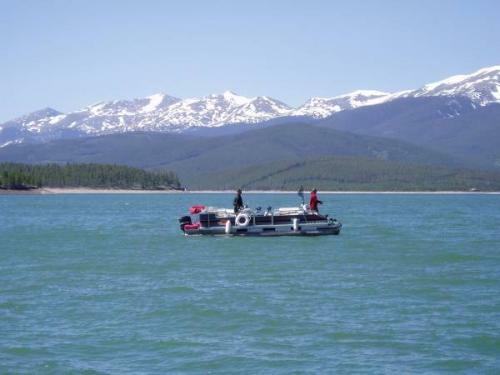 Come experience the beauty of Dillon reservoir at 9,000 feet with jagged peaks in the background while spin cast fishing for huge Rainbow trout, Brown trout, Kokanee salmon and Artic char. Big Ed's is dedicated to providing a memorable charter boat experience for the whole family. Servicing Breckenridge, Keystone, Copper Mountain, Frisco, Silverthorne, beaver creek and Vail Colorado.